Hey T-birds! Hope you are having a wonderful Wednesday! Don’t forget! Campus is closed this week. We need our STAAR testers to have a calm, quiet testing environment so campus is closed to visitors this week. This also means no visitors for lunch time. Can you believe it? It’s already time to register for next year! Online Registration is open now. You can access registration from the Parent Cloud (my.austinisd.org). Want to know more about the Parent Cloud? Check out this page from AISD explaining it all. We need as many people as possible to register early online as it helps determine how many teachers we are allocated for next year. So get online and get registered! Need access to a computer or help with the online process? Join us for THES’ Registration Tuesday’s! MUSICIANS, ACTORS, DANCERS, DESIGNERS NEEDED!!! Sewing, filmmaking, printmaking, painting, drama, dance, multimedia, graffiti art, ceramics…. We are calling artists of all walks to participate in the THES annual Young Artists’ Workshop on the morning of May 23rd! This morning of workshops gives our 3rd to 5th graders a hands-on opportunity to explore different ways of engaging with their world through the arts. We still need about 10 more artists to make this event happen! Interested? Art is not your day job? No problem! 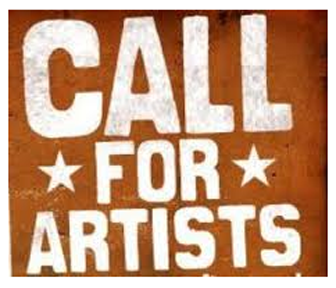 We are looking for individuals who are passionate about the art they practice! For more information, contact Soo at sooleespaw@outlook.com or Renee pinchero.renee@gmail.com by April 10th! We called for heroes and you stepped up!  !  !  ! to these new PTA leaders for next year! If you see these generous folks around campus give them a pat on the back and maybe even ask how you can help! We’re all busy with kids, jobs, and activities and these parents took on some of the big jobs. Feeling Inspired? We still need more heroes! You too can join this awesome team! See below for other leadership roles we need to fill and email volunteers@travisheightselmentary.com when you find one you can do. Ever wonder what the PTA really does? Here’s your chance to find out! The PTA is looking for a Secretary for next year to take notes at monthly PTA board meetings. It is a simple way to get involved and be a part of this dynamic team. Love styling in your Thunderbird gear? Wish you had more? You can make it happen! The T-shirt coordinator organizes volunteers to sell T-shirts and other merchandise, tracks inventory, and publicizes and arranges logistics for sales. Do you like to know what’s going on at school? Do you have ideas for how communication to parents could be improved? Consider becoming our new Communications Chair! This Chair leads a team to update the website, maintain our social media presence, and send the e-folder/Wednesday Folder each week. Average time commitment: 1-2 hours/ week. Helps to collect information and reminders for the weekly e-folder. Average Time Commitment: 1-2 hours/week. Arranges materials and supervises volunteers at the filling of Wednesday Communication Folders each week. Time Commitment: ~1.5 hours weekly on Wednesday mornings. It will be at Travis Heights Library M-F April 3rd-7th 8:00am-3:00pm, and will close at lunchtime on Friday. Family Night will be on Thursday until 6:30P.M. and the Kona Ice snowcone truck will be here starting at 2:00 P.M. on Thursday too! Know any prospective Pre-K or Kinder students? Help us spread the word to friends and others in the neighborhood that it’s time to register! Pre-K registration begins April 3rd and Kinder Orientation will be held April 4th at 8:10am. Check out the registration information page for lists of what to bring to register. New Feature! Subscribe to specific Blogs! There is an awesome new feature on the website this week that allows you to subscribe to your grade level blog and to the Thundernews Student Blog. We know the kids on the photojournalism team and our teachers have been working hard to post interesting bits of information about our school on the site but it is hard to keep up with it all. Now you can get email alerts when new posts have been made so that you can stay up to date with all the latest news! Simply use the subscribe links on the grade level pages or use this link and select which updates you are interested in and submit. And voila! Notifications will be sent to your inbox! If you are already a subscriber to the Wednesday efolder you can update your profile using the “update your preferences” link in the email you receive or you can also use the various subscribe links. There are directions for updating your profile on the subscribe page. Ok! That’s all for this week! Have a great week!